Director of the Sugathadasa Sports Complex, Susanthika Jayasinghe addressing the gathering. 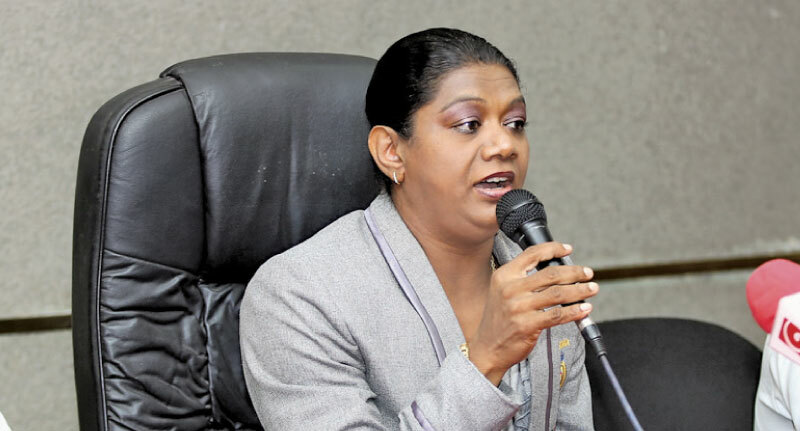 Olympic medalist, Sports Ministry consultant and Director of the Sugathadasa Sports Complex, Susanthika Jayasinghe whilst thanking Sports Minister Faiszer Mustapha to make use of yesteryear champion athlete’s knowledge and experience for the betterment of the future of Lankan athletics, showered praise on another former Sports Minister late VA Sugathadasa. “Today is a special day as we celebrate the birth of V. A. Sugathadasa which fell on July 10. If not for him we would not have such a sports facility to train and compete. There were many leaders and politicians in this country, but we only have a one international level sports facility,” said Susanthika at the Sugathadasa Sports Complex during the commemoration ceremony held for late V. A. Sugathadasa who donated the Sugathadasa Stadium to the nation. “I am telling it as a person who has engaged in sports for over 20 years and as a sports administrator. Because of this stadium I have been able to win four international victories. It is Mr. Sugathadasa who started this ground in a small way and elevated it to international level. He has been a good example to all who serve Sri Lankan sports. Sugathadasa pioneered the Nationalized Services sports with 150 officials and supported the government to uplift sports which has paved the foundation for many victories later,” she said. Susanthika also acknowledged the support given by the former President Ranasinghe Premadasa in developing the Sugathadasa Sports Stadium. “I hope the present administration at Sugathadasa Stadium will work hard to fulfill the aspirations of late Mr. Sugathadasa who wanted to bring hidden talent to national and international level. With the correct directions of Sports Minister Faiszer Musthapa, I am confident that we can render a better service to Sri Lankan sports,” she concluded. Don't forget the Engineers who Built the Sugathadasa Stadium!